Digestion has a direct and complex meaning for the body. The prolonged experience of pain or heaviness, or stomach burning, burping, gas, nausea, which can often lead to vomiting, heartburn, are not a local problem. They indicate the occurrence of processes that carry a risk of disease of various systems in the body. Through digestion, food is transformed into the energy needed for existence, body defenses and development. Disturbances in food breakdown lead to disturbances in the utilisation of nutrients. Poor energy absorption affects the body at all its levels – starting from the cells, through the tissues and organs, to the functions of the whole systems. The overall harmful impact of impaired digestion is unfortunately reinforced by another fact. When food breakdown is not performed rhythmically and in time, the digestive tract begins to retain nutrients starting a rotting process. In this, toxins are released which, through the blood, circulate together with the beneficial substances throughout the body. Thus, a variety of poisons accumulate in the body. These are pesticides, heavy metals, as well as free radicals, and others. Accumulated for a longer period, they poison the body and the natural functions of different organs set by nature are disrupted; entire systems start malfunctioning which leads to illnesses. Indeed, in Ayurveda, poor digestion is perceived as the cause of all the diseases of all systems in the body. It is in turn is associated with poor nutrition. Even if digestive problems are caused by digestive tract disease, it occurred due to inappropriate nutrition. Generally speaking, it is not appropriate to the specifics and abilities of the one’s digestive system. It could be unvaried food, overeating or malnutrition, consumption of foods harmful to the body type, inappropriate combination or sequence of foodstuffs. The eating time and the way we eat are especially important is – even useful products in general can become useless or harmful if, for example, they are eaten more than three hours after cooking. Ayurveda identifies the digestion with fire. This is not as illustrative as it is of philosophical significance. According to Ayurveda, fire is one of the five principles of creation of the universe and is associated with the transformation of matter. As with all processes in the body and nature, digestive fire has a different activity during the day, in accordance with the sun. At night Agni is in its weakest phase and eating then is particularly harmful to the organs of digestion, absorption and assimilation. It is strongest at noon when the sun has risen high. Additionally, it may be kindled and subsid. Ayurveda has different ways to activate the digestive fire depending on the different digestive disorders to clear any food remains in the digestive tract and avoid rotting. In case of developed illness, the treatment is more specialized. Generally, it could be said that it includes application of procedures adapted to the natural processes of the body, food regimes, various herbs and natural extracts that can be used individually or in combinations, raw or as spices in food. They have complex effect, including pain relieve. Yoga practices are also applied, for example to activate bowel contraction for movement of the food and to eliminate abdominal pains. Aloe vera juice is also very effective for stomach pains. It is rapidly absorbed, and performs a cleansing action on the stomach and intestines. Two tablespoons a day are usually enough. Ginger is also widely used. 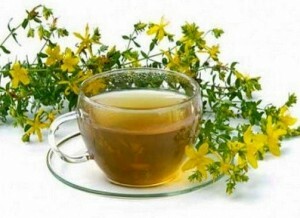 It removes pain in the abdomen, neutralizes acids and gases, acts anti-inflammatory, activates gastric juices. Can be used as tea – ground ginger is soaked in warm water for 5 minutes. For one cup, half a teaspoon of ginger is enough. Add honey and drink the tea. Drink two or three times a day. Teas made of lavender, mint, chamomile, thyme and others are also known for their soothing effect.